The structure indicated is the triquetral bone of the hand. The triquetral bone is one of four bones in the proximal row of carpals (scaphoid, lunate, triquetral, pisiform). 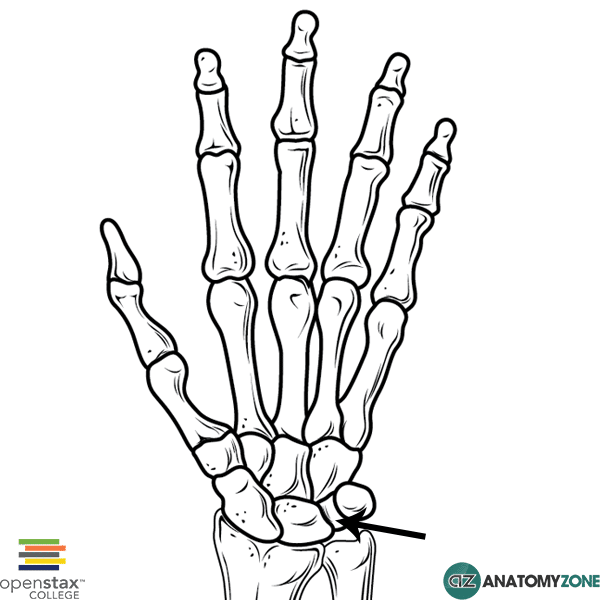 The triquetral bone is located medially in the hand and articulates with the pisiform bone, the hamate and lunate bones. On the medial aspect of the volar surface of the triquetral bone is a facet for articulation with the small pisiform bone.